Joseph Harding married a woman named Martha, who is thought to be Martha Doane. Joseph Harding was born in 1624. He married Bethiah Cook. Joseph and Bethia's children lived in Eastham, Chatham and Truro. The Cape Cod History genealogy website has a nice map on its home page. Josiah Harding was born on 15 Aug 1669 in Eastham. [Ref, 7;13][Ref, 6;46] He died before 1 Sep 1752, when he is referred to as deceased. [Ref, p. 98] He married Hannah Welch. [Ref, p. 6][Ref gives only her first name] She died after 11 Nov 1752. Amaziah Harding was born on 1 Nov 1671 in Eastham. He died on 5 Jun 1734 in Barnstable. He married Hannah Rogers. There is a transcription of Amaziah's will on the Cape Cod History website. Amaziah Harding, husbandman of Eastham, signed his will on 21 Apr 1734. He left his sons John, Nathan and Cornelius and his daughter Elizabeth Fish equal shares in his homestead in Eastham as well as all of his meadow and woodland in the town. John was to have the improvement of Cornelius' part untill Cornelius was 21. Nathan was to pay Amaziah's daughters Hannah Fish and Phebe Rogers five pounds each out of his share within five years of Amaziah's decease. This was to be all that these daughters would get from his estate. Amaziah left five shillings each to Thomas and James, the sons of his son James and to Mary and Elizabeth Clark, the daughters of his daughter Mary Clark. He left his son John his right and interest in Windham, Connecticut if he could make out any title as well as all the grain that John had or would plant that spring upon his land in Eastham. After his debts were paid, he left the remainder of his personal estate to his children John, Nathan, Cornelius and Elizabeth Fish. John was to be his executor. The will was proved on 5 Jul 1734. Thomas Harding was born on 13 Nov 1699 in Eastham. [Ref, 6;46][Ref, 3;180] He probably died before 21 Apr 1734, when he was not mentioned in his father's will. Nathan Harding was born on 29 Oct 1711 in Eastham. He died on 27 Mar 1801 in Easthampton. He married first Anna Brown. He married second Abigail West. It is possible that Anna Brown is the daughter of William Brown and Ann Palmer, but there does not appear to be any evidence of this. In 1739 settlers from Eastham, led by Isaac Smith, went up the Connecticut River. Some settled in Middle Haddam parish, located between the neighbouring towns of Middletown and Haddam. This parish was originally part of Middletown. 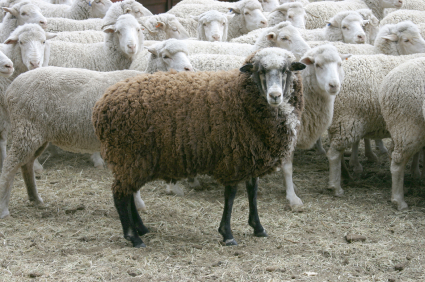 Nathan was probably part of this group. The births of his children between 1741 and 1762 are thus recorded in Middletown. In 1767 part of Middletown was set off as the town of Chatham. This explains why some of Nathan's children lived in Chatham. When Nathan died he was probably living in what was then Chatham. In 1915 Chatham was renamed East Hampton. So one could say that Nathan died either in (what was then) Chatham or in (what is now) East Hampton. There was another parish in Middletown that was called Easthampton because it was also founded by settlers from Eastham. It too was part of Middletown and later Chatham. Nathan (Nathaniel) Harding was born on 19 Dec 1746 in Middletown. He died on 29 Jul 1828, probably in Exeter, Otsego, New York. He married Thankful Clark. A "John Harding" of Middle Haddam [then in Chatham] married Thankfull Clark of Old Haddam on 14 Oct 1773 in the Third Church of Saybrook, Chester, Middlesex, Connecticut. [Ref] "John" is probably an error. This Thankful Clark was the daughter of Daniel and Deborah (Lewis) Clark of Haddam. The part of Middletown that Nathan was born in became Chatham in 1767 and was renamed East Hampton in 1915. Nathan Harding was born on 10 Jan 1780 in Middle Hampton. He died on 18 Sep 1867 in West Winfield. He married Philena Ann Clark. William is said to be the son of Gideon and Sally (French) Burgess, born on 6 Feb 1800 in Windham county, Connecticut and died on 9 Jun 1886 in Newark, New York. His parents moved to Richfield Springs, Otsego, New York and William and Lois later ran the Burgess Tavern in Otsetgo county for twenty years. They moved to Petersburg, Virginia in 1850 to work on a plank road being built there in the style of one in New York. The Battle of Burgess Mill in the Civil War was fought on their land. Amanda Malvina Harding was born on 7 Nov 1810, probably in Chatham. She was baptised on 27 Jan 1813 in the Congregational Church in East Hampton. She died on 1 Oct 1889. She married George W. Palmer. Erastus was a Baptist minister in New York. [Ref] He moved to Monmouth and became minister of the First Baptist Church in 1846. Nathan G. Harding was born in 1818. 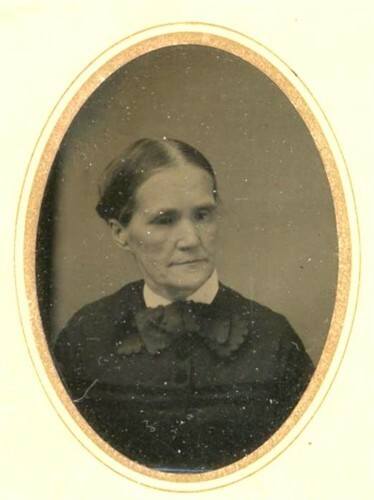 Elizabeth Mary Harding was born in 1822, probably in New York. Amos Irving Harding was born in 1824, probably in New York. Amanda Malvina Harding was born on 7 Nov 1810, [Ref] probably in Chatham. She was baptised on 27 Jan 1813 in the Congregational Church in East Hampton. [Ref, p. 101] She died on 1 Oct 1889 [Ref], probably in Monmouth, Warren, Illinois. She is buried next to her husband in section 9 of the Monmouth cemetery. [Ref] She married George Washington Palmer. Albright, Evan J., "Dead Men Walking: A Parade of Cape Cod Executions," Cape Cod Confidential, http://capecodconfidential.com/cccdeathpenalty011216.shtml. Anderson, Robert Charles, The Great Migration Begins: Immigrants to New England, 1620-1633, Vol. 1-3, Boston, MA, New England Historic Genealogical Society, 1995. Bailey, Frederick W., Ancient Church Records Prior to 1800, v. 1, 1896. Baird, Mary E. Harding, Our Harding family: A record of the family and descendants of Samuel Harding whose ancestor was Joseph Harding, son of John of England, and of Love Mayhew Harding, wife of Samuel Harding, whose ancestor was Thomas Mayhew, son of Joseph of England: with historical sketches, unknown, unknown, 1957. Baker, Mary Aba, "Dennis, Mass., Vital Records," Mayflower Descendant 13, 1911, 14-18. Biographical Directory of the United States Congress, http://bioguide.congress.gov/biosearch/biosearch.asp. Bolton, Harry E., trans., Inscriptions in Exeter Center Cemetery in the Town of Exeter,Otsego Co., NY, recopied by Katherine Perkins, Otsego county GenWeb. Bowman, George Ernest, "Plymouth Colony Wills and Inventories," Mayflower Descendant 1, 1899, 24-26, 79-83. Bowman, George Ernest, "Records of the First Parish in Brewster, Formerly the First Parish in Harwich, Mass.," Mayflower Descendant 4, 1902, 242-249; 5, 1903, 17-20. Bowman, George Ernest, "Truro, Mass., Church Records," Mayflower Descendant 9, 1907, 53-59; 10, 1908, 42; 11, 1909, 19-20; 15, 1913, 17-18. Bowman, George, "Eastham, Mass., Vital Records: Literally translated from the original records," The Mayflower Descendant 3; 178-181, 329-231; 4; 29-34, 140-142; 5; 22-23, 195-198; 6; 12-16; 712-20; 15, 1913, 52-55, 141, 227. Bowman, George Ernest, "Harwich, Mass. Vital Records," Mayflower Descendant 3, 1901, 174-6; 4, 1902, 175-179, 207-210; 5, 1903, 86-90, 202; 8, 1906, 160; 11, 1919, 174. Bowman, George Ernest, "Truro, Mass., Church Records," Mayflower Descendant 9, 1907, 53-59, 244-5; 10, 1908, 42, 149-151; 11, 1909, 19-20; 15, 1913, 17-18. Bowman, George Ernest, "Vital Records of Chatham," Mayflower Descendant 4, 1902, 182-185, 198-202; 5, 1903, 141-143, 120-122, 7, 1905, 137-142; 9, 1907, 33-34, 180; 12, 1910, 217-218; 13, 1911, 28-30; 15, 1913, 132. Brainard, Lucy Abigail, The Genealogy of the Brainerd-Brainard Family in America, 1649-1908, v. 2, Hartford Press, 1908. Bowman, George Ernest, "The Will of Josiah Cooke, Sr. of Eastham," Mayflower Descendant 15, 1913, 14-38. Bureau of the Census, Third Census of the United States, 1810, Washington, DC, National Archives and Records Administration, 1810. Bureau of the Census, Sixth Census of the United States, 1840, Washington, DC, National Archives and Records Administration, 1840. Bureau of the Census, Seventh Census of the United States, 1850, Washington, DC, National Archives and Records Administration, 1850. Bureau of the Census, Eighth Census of the United States, 1860, Washington, DC, National Archives and Records Administration, 1860. Bureau of the Census, Ninth Census of the United States, 1870, Washington, DC, National Archives and Records Administration, 1870. Bureau of the Census, Tenth Census of the United States, 1880, Washington, DC, National Archives and Records Administration, 1880. Bureau of the Census, Twelfth Census of the United States, 1900, Washington, DC, National Archives and Records Administration, 1900. Clark, Leon, History and Genealogy of the Mayflower Planters and First Comers to ye Olde Colonie, Washington, DC, Hills Pub. Co., c1936-c1941. Cobb, Philip L., A History of the Cobb Family, Cleveland, unknown, 1907. Coddington, John Insley, "The Widow Mary Ring of Plymouth, Mass., and her Children," The American Genealogist 42, 1966, 193-205. 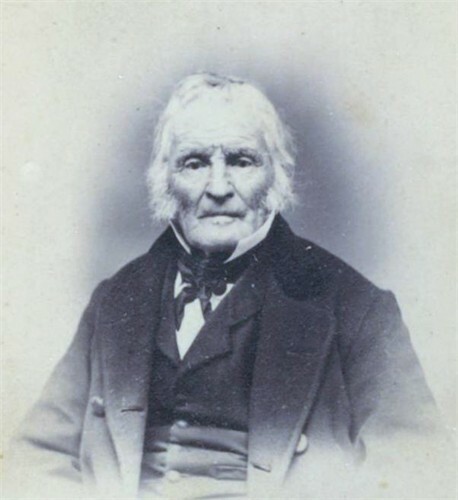 Collins, Stanley Newcomb, "Joseph Collins of Eastham and Three Generations of his Descendants," New England Historical and Genealogical Register 151, 1997, 3 - 30. Crocker, Tracy Ashley, comp., Thomas Rogers Society, http://www.thomasrogerssociety.com. Doane, Alfred, "Barrington, Nova Scotia Vital Records," Mayflower Descendant 8, 1906, 221-224, 138-142; 9, 1907, 27-28. Dwight, Benjamin Woodbridge, The History of the Descendants of Elder John Strong, of Northampton, Mass., Albany, J. Munsell, 1871. Editor, "Deacon John Paine's Journal," Mayflower Descendant 8, 1906, 180-183. Editor, "The Gravestone Records in the Ancient Cemetery at Eastham, Mass.," Mayflower Descendant 8, 1906, 1-4. Editors, "Rogers Notes," Mayflower Descendant 11, 1909, 178-181. Editor, "Unrecorded Barnstable County Deeds," Mayflower Descendant 14, 1912, 76-79, 175-180, 210-213; 15, 1913, 92-100, 154-158. Hamlin, David, "First Settlers of Eastham, Mass.," New England Historical and Genealogical Register 6, 1852, p. 41-46 , p. 167-170, p. 234-. Harding, Wilber J., The Hardings in America :A Genealogical Register of the Descendants of John Harding, of England born A.D. 1567, Keystone, Iowa: Harding Print. Co., 1925. "Harwich, Mass. Vital Records," Mayflower Descendant 5, 1903, 202; 8, 1906, 160. Hinckley, Gustavus Aldolphus, trans., Barnstable, MA: Probate Records 16851789, Online database, NewEnglandAncestors.org. New England Historic Genealogical Society, 2008. Linnell, Arthur E., "Gravestone Records in the Oldest Burying Ground in Chatham, Mass.," Mayflower Descendant 8, 1906, 236-239; 13, 1911, 76-79, 175-179. McPherson, Gladys Redfield, Ancestry of Addie Clark Harding: Daughter of Abner Clark Harding, Jr., and Maud McCain, Chicago, unknown, 196-?. No author, Early Records: Baptisms, Marriages, Deaths, Membership: of the Congregational Church of East Hampton (Chatham), Connecticut, Middletown, CT, Felton & King, 1900. "Records from the Duck Creek Cemetery, Wellfleet," Mayflower Descendant 11, 1909, 143. Roberts, M.L., (Streig, Janice trans. ), "Town of Chatham: Geographical and Disrcriptive," in The History of Middlesex County 1635-1885, J. H. Beers & Co., New York, 1884, pp. 174-217. Rogers, Alan, Murder and the Death Penalty in Massachusetts, no location, University of Massachusetts Press, 2008. Roser, Susan E., "Harding - Merrick Notes," The American Genealogist 72, 1997, 109-110. Roser, Susan E., Mayflower Births and Deaths, v. 2, Genealogical Publishing Co., Baltimore, c. 1992. Roser, Susan E., comp., Mayflower Marriages, Genealogical Publishing Co., Baltimore, c. 1990. Shurtleff, Nathaniel B., ed., Records of Plymouth Colony: Births, marriages, deaths, burials and other records, 1633-1689, Genealogical Publishing Co., Baltimore, 1979. Smith, Leonard H., Jr. and Norma H. Smith, Vital Records of the Towns of Eastham and Orleans: Reproduction of the records published serially 1901-1935 in the Mayflower Descendant, Genealogical Publishing Co., Baltimore, c. 1976. Smith, Stanley W., "Bill of Mortality in the South Parish of Eastham," Mayflower Descendant 7, 1905, 184-7. Smith, Stanley W., "Records from the Cemetery at Harwich Centre," Mayflower Descendant 14, 1912, 27-28. Smith, Stanley W., "Records from the Duck Creek Cemetery, Wellfleet," Mayflower Descendant 10, 1908, 180-183, 204-208; 11, 1909, 144-143. Smith, Stanley, "Records from the Old North Cemetery, Truro, Mass," Mayflower Descendant 12, 1910, 1-6; 13, 103-4. Smith, William C., Early Settlers of Chatham, C. W. Swift, Yarmouthport, 1915, reprinted in Leonard H. Smith, Jr., ed., Cape Cod Library of Local History and Genealogy, v. 1, Genealogical Publishing Co., Baltimore, c. 1992. Smith, William Christopher, A History of Chatham, Massachusetts: Formerly the constablewick or village of Monomoit: with maps and illustrations and numerous genealogical notes, Hyannis, MA, F.B. & F.P. Goss, 1989. Streig, Janice trans., "Chatham: the Early Settlers and their Descendants," in The History of Middlesex County 1635-1885, J. H. Beers & Co., New York, 1884, pp. 198-217. Torrey, Clarence A, New England Marriages Prior to 1700, Baltimore, Genealogical Publishing Co., 2004. "Unrecorded Barnstable County Deeds," Mayflower Descendant 15, 1913, 157-8. Wheeler, John S., "Leonardsville and Unadilla Valley," Brookfield Courier, 9 Mar 1901. Vital Records of the Towns of Eastham and Orleans.